The conference will be held at the Wyndham Philadelphia at Franklin Plaza Hotel, 17th and Race Streets, Philadelphia, Pennsylvania. A block of rooms has been reserved at the Conference Rate of $155 for single or double rooms. A limited number of these rooms are available at the Government Rate. A valid United States Government identification must be provided upon check-in to obtain the Government rate. Reservations can be made by calling Wyndham reservations at 1-800-WYNDHAM (1-800-996-3426) and tell the reservationist that you are attending the IEEE Radar Conference. Online reservations can be made at this WYNDHAM web site. All reservations must be accompanied by a first night room deposit or guaranteed with a major credit card. Reservations must be received on or before 29 March 2004 to be guaranteed the above rates. After this date, the conference rates may not be available. Early reservations are recommended as the number of rooms is limited. For those wishing to extend their stay to enjoy the sightseeing and cultural attractions, the rate can be extended. 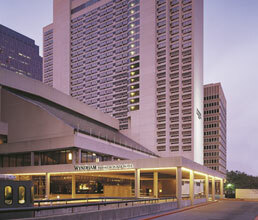 Additional information on the conference hotel may be found at the Wyndham Philadelphia web site. If unable to make a reservation thru this link, please call the Wyndham directly at 1-800-WYNDHAM for reservations and mention the IEEE Radar Concerence when making your reservation.